Charlotte Delattre & Terry Craven. In the same spirit, “our first mission was to create a faithful community around the bookshop. And we host writer friends in the shop in exchange for two hours of work a day (following Shakespeare and Company’s ‘tumbleweed’ tradition). It brings a nice vibration to the place. It’s important for this to feel like home for us,” Charlotte says. As I speak with the Frenchwoman and Yorkshire poet-turned-artist, Chet Baker melodies infuse the books themselves with a kind of charm, a tenderness reserved for the most deserving. 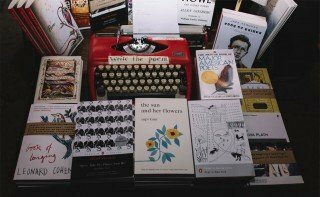 The magic of this place lies in such details, like in the message taped onto the vintage typewriter: ‘Write the Poem.’ This simple invitation draws people into the world of words and encourages them to stay a while. 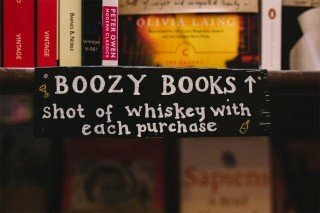 The ‘boozy books’ section—in which the purchase of a book earns one a shot of whiskey—has a similar effect; it ends up having the cozy appeal of a house cat asleep beside us. I remember the day I punched out my first line of poetry on that typewriter. It was the first of the really cold days when I went for a walk around Opera, an elegant neighborhood bridging together Sol—the city’s vibrant epicenter—and the Royal Palace. That day was marked by an aimless sort of wondering, a search for nothing in particular. I only wanted to channel my inner flâneuse. But that afternoon I learned something: sometimes, what we didn’t know we needed finds us in the moment we need it most. Bundled up yet shivering, the sight of a pair of lemon trees stopped me in my tracks. Looking between the trees, I discovered a bookshop, warmly lit, as dusk was falling. Once inside, I was offered a steaming cup of tea. I found that this bookshop, full of predominantly English language books, also held literature in Spanish and French. But, essentially, they’re all the same—the language changes, the conflicts shift, but all wrestle with what it is to be human. The Wild Detectives takes its name from the same source. 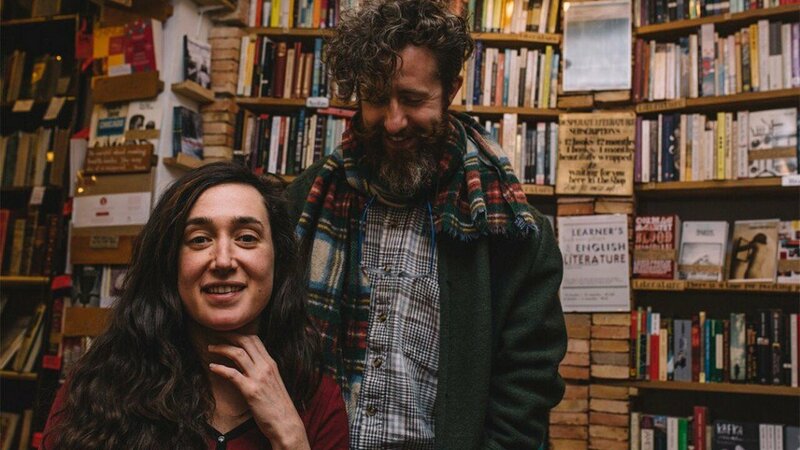 You could think of the Oak Cliff gem and Desperate Literature as sister bookshops, and there are plenty of reasons why they are favored destinations, far from Amazon. 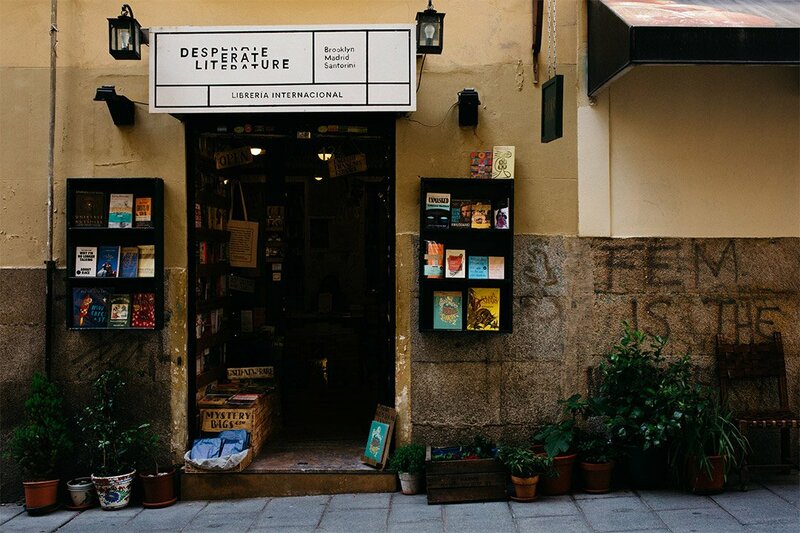 Both serve as a space where good literature becomes a vehicle for dynamic cultural, linguistic and social exchange—in fact, both shops aim towards doing things bilingually and expanding into the Spanish literary community. In this spirit, both host readings, gallery shows, musical events, lectures, and more. Coincidentally, both turn 4 this year within a couple of months of each other (The Wild Detectives in March and Desperate Literature in May). For its birthday celebration, Charlotte and Terry created their own version of an Andy Warhol film, involving everyone connected to the bookshop. The hour-long film will be projected for the birthday event and played over and over, helping us to think about what film is and does, and even how and why we look at things. French gypsy jazz band Manouche au Lait will be on hand to serenade book lovers into the wee hours of the morning, as they did for the shop’s 3rd birthday bash last year—when people trickled in and out, keeping to the rhythms of what sounded like a more sprightly soundtrack to Woody Allen’s Midnight in Paris. The small space lends itself well to hosting intimate conversations, too. I remember when a visiting poet was reading from inside the shop while a hardy, overflow crowd listened from the sidewalk despite a steady rain. “It’s helpful to have a small space because it creates, from the beginning, something familiar and cozy. There’s a concentration going through the crowd,” Charlotte says. “Plus, the attention is focused on the author,” Terry adds. It’s a space for not only storing and presenting literature but also producing it. 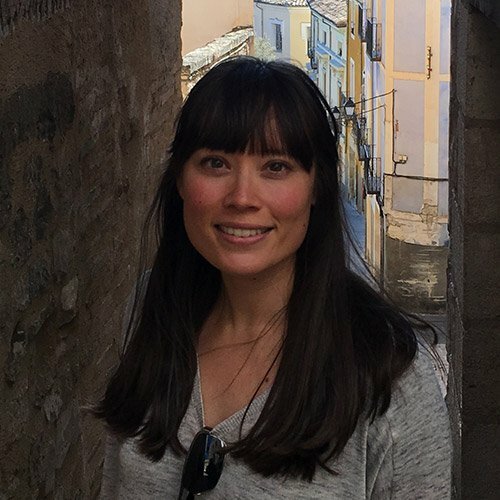 Desperate Literature put out its first literary magazine, La Errante, last year, and this year Terry has spearheaded its first book-length production. “It’s 62 pages filled with 11 short stories. It’s the short list from our literary prize,” he explains. Terry and a small team of editors selected 11 stories from around 450 entries. 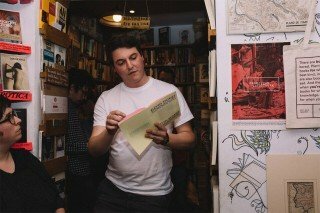 In addition to hosting weekly poetry nights, curated by Spencer Reece, Desperate Literature will be home to an ambitious literary festival in 2019. Terry aims to host 40 poets in one week, or to break it down, “6 poets a day over a 3 hour period,” working with the theme of poetry and exile. “It’s important to have a constellation of projects going on,” Charlotte says. But perhaps no project holds so much significance as the book hunt, of which Terry is a bona fide expert. He was apprentice to the late Martin Stone, a rare book dealer in Paris. “He [Stone] was the Indiana Jones of books, and I was the little kid who followed him around (think more The Goonies). I needed 15 more years with him,” Terry says. “This thrill, this hunt for books is something we love,” Charlotte says, “and Terry has a nose for 1st editions. When we were in Morocco, we found a 1st edition of Dickens’s A Christmas Carol. It’s stuff like this that nourishes the work. Coming back, there is a story around the book, and then you pass it on to a reader. It puts a soul to this work.” Charlotte is immensely proud of the collection of titles in the shop. “Each one is hand selected. I can’t wait for people to just come in and browse. I want them to stay an hour and have no other choice,” she says. But when you’re desperate enough, you have to go after the truly terrifying. You have no other choice. This is a good thing. Desperate Literature, like some sort of temple or cathedral, has the ability to convert people to literature. Sometimes it is poetry and words that save our lives, document our lives, construct our lives, become life itself. As Anaïs Nin wrote, “Stories do not end.” Places like Desperate Literature show us this is true.